The scheme also offers the opportunity to apply for hospitality support for receptions and welcome events within the city's Guildhall. Events with a minimum of 175 delegates staying for at least two nights will be eligible to apply. Aoife Thomas, business and leisure tourism executive, said: "Each enquiry will be reviewed on an individual basis and matched against the scheme's criteria and guidelines. 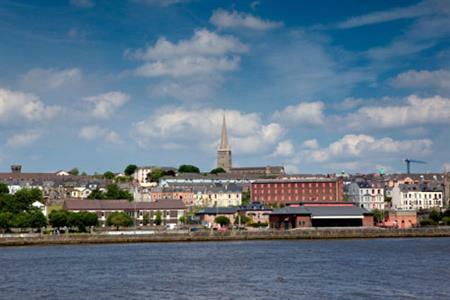 Should you be eligible, Derry Visitor and Convention Bureau will issue you with an official application form, which should then be submitted to the decision-making panel." Odhran Dunne, chief executive of Derry Visitor and Convention Bureau, added: "The scheme aims to support an annual increase of international conferences from overseas markets and 10 per cent increase on confirmed conference bookings to the destination."